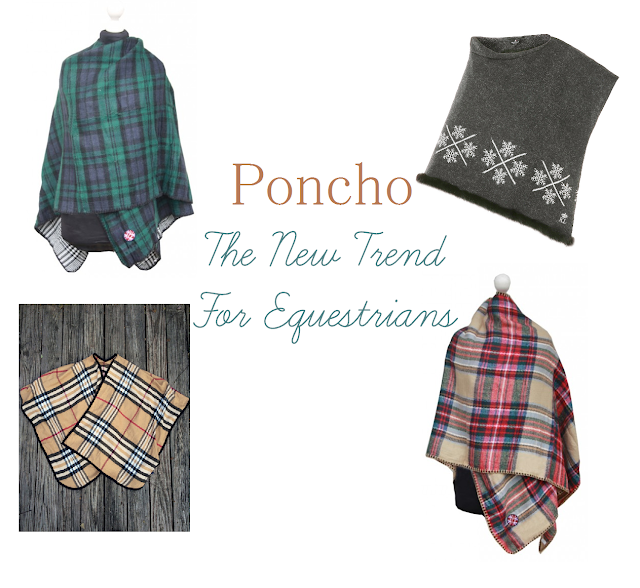 There is a new trend for us equestrians. I am talking about ponchos, yes, ponchos! At first I didn't understood how that would work for riders but then I started thinking that ponchos are, in fact, a great addiction to a rider's wardrobe. You won't wear them while you are riding, at least, I wouldn't but they seem awesome to wear with your riding clothes when you aren't riding. It's a stylish, comfortable and practical piece.